Johnston rehearsing her ballet "Filamentous." Photo by Erik Tomasson, Courtesy SFB. Blake Johnston couldn't have planned a better year to join San Francisco Ballet. Not only has she dreamt of dancing for SFB since entering the company school in 2013, but the first-year corps member is also an aspiring choreographer. 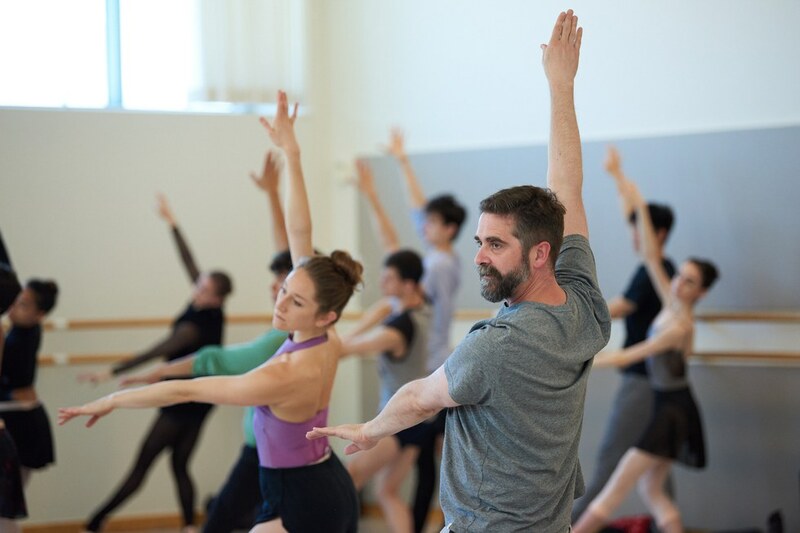 For Johnston, rehearsals for SFB's Unbound: A Festival of New Works means diving into a deep pool of creativity. "I get to see all these new people, the whole process," Johnston, 21, says between rehearsals. "If I have a five-minute break, I'll run into the hallway to see if anything is happening." NYCB's Teresa Reichlen in Schumacher's Clearing Dawn. Photo by Paul Kolnik, Courtesy NYCB. New York City Ballet's fall season is packed with world premieres, including three by choreographers who have never made work for the company. NYCB resident choreographer Justin Peck and corps member Troy Schumacher will each create a new ballet. 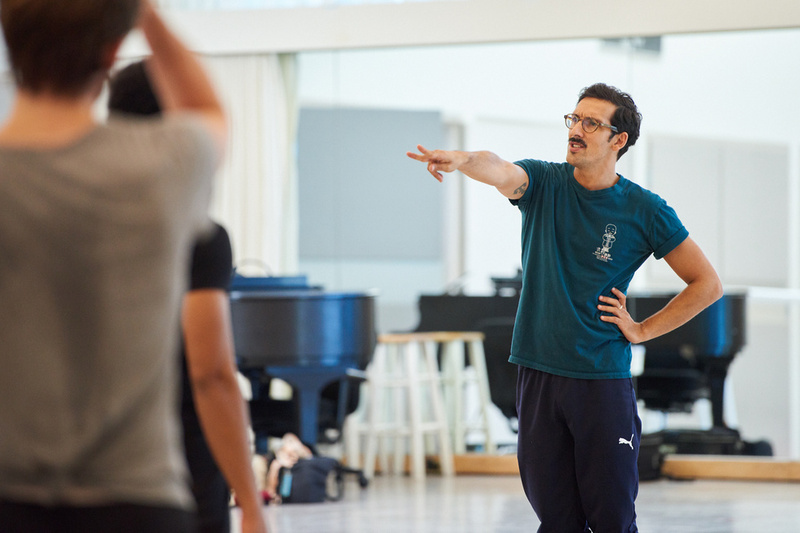 Schumacher's second piece for NYCB will feature a commissioned score from Ellis Ludwig-Leone, the music director for Schumacher's Ballet Collective and the frontman of the band San Fermin. Peck's new work will feature Steve Reich's Variations for Vibes, Pianos and Strings. Ratmansky (right) advising Thatcher after rehearsal at the San Francisco Ballet studios. Photo by Reto Albertalli, Courtesy Rolex. A rehearsal viewing can be daunting for any young choreographer. But when the person watching you work is Alexei Ratmansky, one of the world's greatest living choreographers, it could easily be overwhelming. “We had a five-hour rehearsal, and he sat on the marley and took notes the whole time," recalls San Francisco Ballet corps member Myles Thatcher. The 24-year-old burgeoning choreographer was creating Spectrum on SFB School students for the annual showcase last spring when Ratmansky paid a visit. Thatcher felt nervous, but he needn't have been—Ratmansky had just chosen him for a year of one-on-one mentoring through the 2014–15 Rolex Mentor and Protégé Arts Initiative.